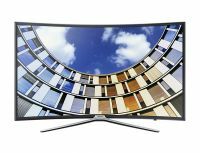 Samsung FHD TV delivers breathtakingly real and immersive viewing experiences like you’ve never seen before. You’ll see all your favourite TV programs and movies in a whole new light. To Recieve updates and possible rewards for Samsung UA49K6300AK please sign in. To Recieve updates and possible rewards for Television please sign in.